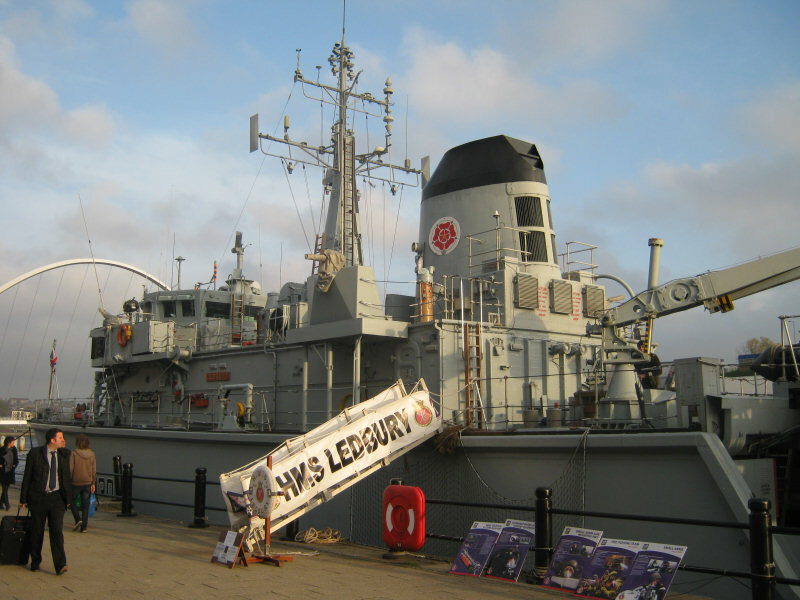 HMS Ledbury (M30), the third ship of the name, is a Hunt-class minesweeper of the Royal Navy. 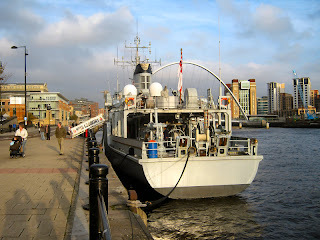 She was launched on December 1979 and commissioned on 11 June 1981, the second ship of her class. 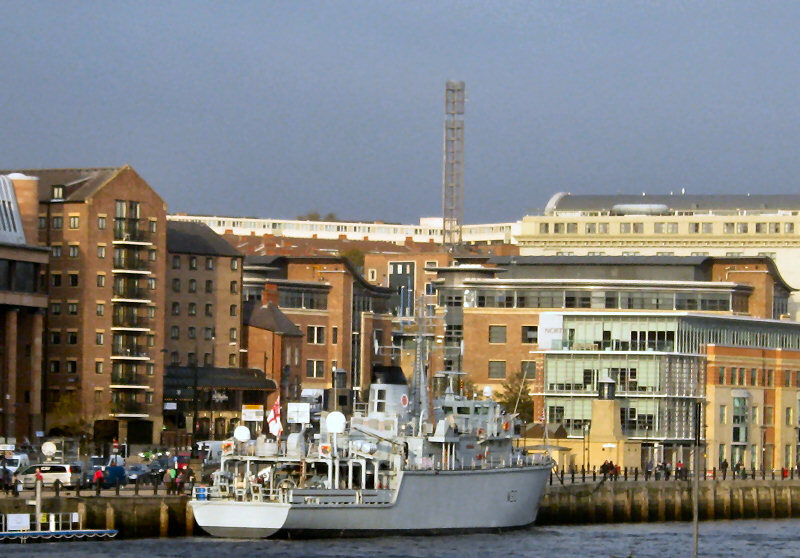 She cost £65 Million at time of building, which was the most expensive cost per metre for any class of ship built by the Royal Navy. Most of this cost went into the research and development of Ledbury's Glass Reinforced Plastic Hull. 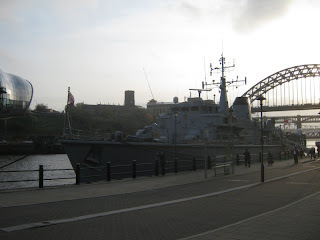 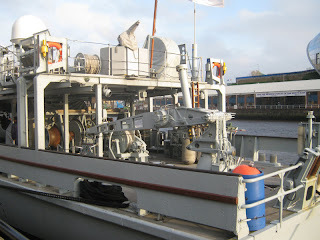 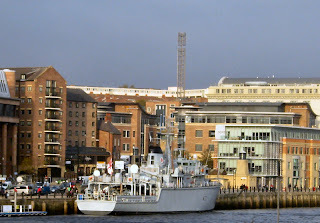 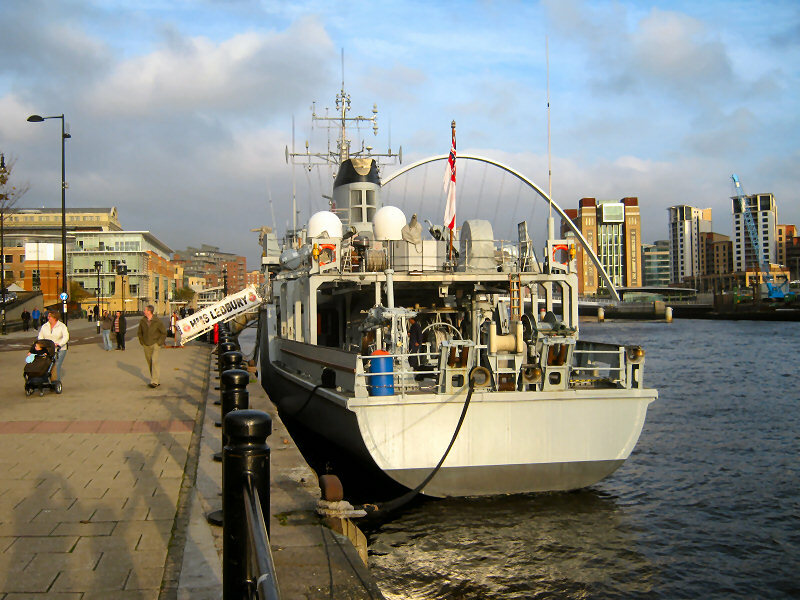 These photos were taken on the 24th October 2011 when she been docked in the Tyne for a few days.